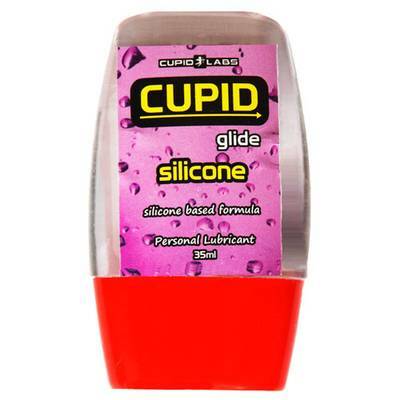 High quality silicone based lubricant Cupid Silicone Glide. Apply as needed to the area of the body you wish to moisturize. Reapply as desired. Easily washes away with soap and warm water.